The lower-than-expected credit growth might just be enough reason for SBI - State Bank of India - to slash interest rates in the forthcoming new financial year. Talking to reporters on the sidelines of the 53rd convocation ceremony of the Xavier's Labour Relations Institute in Jamshedpur, SBI Chairman O P Bhatt hinted at measures that India's largest lender intends taking for bringing down interest rates. Bhatt said: "There are a lot of indications that interest rates should soften further - how much and when needs to be seen. We have been taking a series of measures starting October-November and our rates have gone down across the board. In February, we again announced a slew of measures to bring down interest rates." 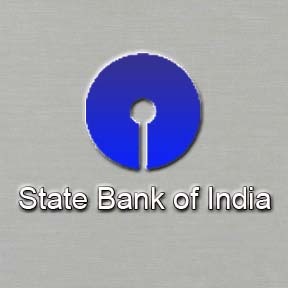 Despite his mention of SBI's Asset-Liability Committee likely to take a call on interest rates as and when required; Bhatt also said that lower interest rates also could not boost credit growth as much as expected in the ongoing quarter - either due to lack of demand or because of the public's anticipation of correction in prices and interest rates. With regard to the growth in credit demand during the next financial year, Bhatt said that it would largely depend on factors like the global economic scenario; timely onset of monsoons; and the new government and its expected course of action.